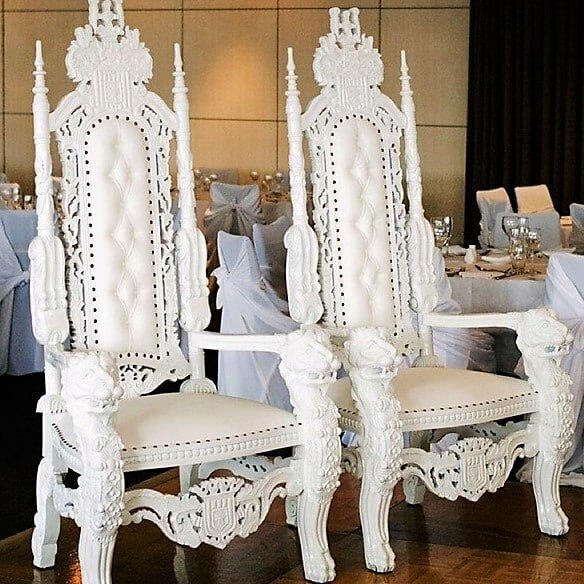 Our exclusive White Thrones are a perfect way to make a statement at your Bridal Table and draw special attention to you and your partner. Feel extra special with these Thrones which also look fantastic in photos. Standing 1.8m high. They are a stand out piece for your bridal table. Add 2x to your cart in order to quote on a pair.